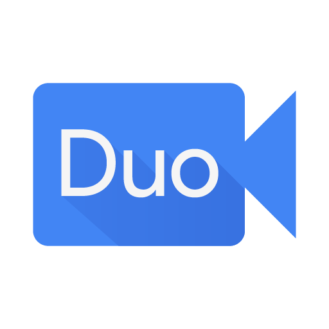 Alongside the Allo messaging app, Google also announced a very straightforward video calling application dubbed as Duo. This app is a mobile-only service which is tailored with the user’s phone number. The Duo is Google’s initiative to bring users back into video calling. The app is similar to FaceTime only that it performs fast even with slow network connection. Duo is very simple, opening it will immediately direct you to the video interface. 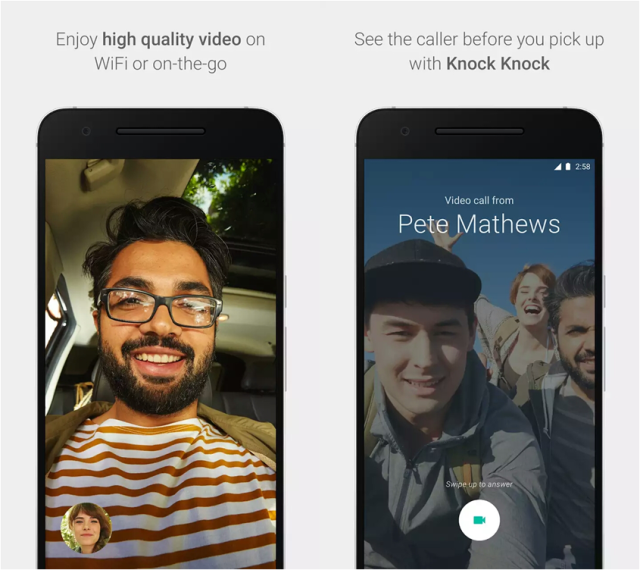 One of its note-worthy features is the Knock Knock which gives you a live preview of your caller even before you pick up the call. Thus, giving you a heads-up on the importance of the call. Video qualities will be in 720p HD. However, if you’re signal is weak, Duo will automatically adjust the quality based on the network strength. This means that it’ll work wherever you are. Google made the app zippy with insanely fast performance. 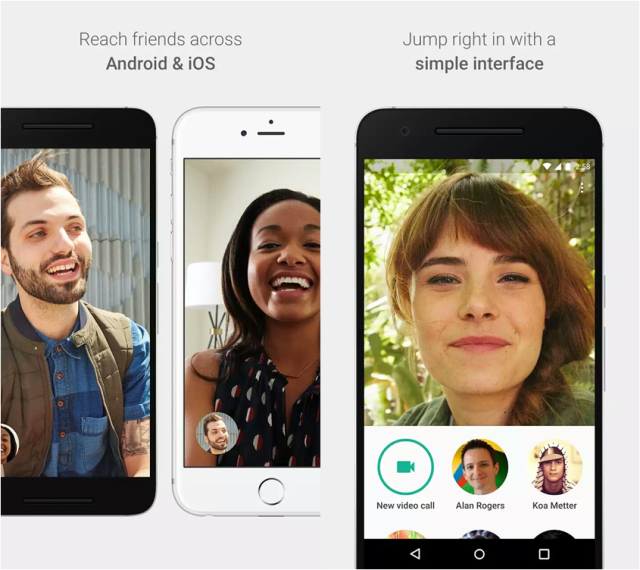 This video companion to Allo app is one of the most reliable video calling applications to hit our smartphones. It’ll become available to Android and iOS soon.